This chapter explores the impact of enforced disappearances on the civilian population in Pakistan. The first section of the chapter examines the practices used by Pakistan’s security forces to conceal the fate and whereabouts of the “disappeared” (e.g., not registering detainees, locking detainees in secret detention facilities, frequently transferring detainees between secret detention facilities…). The second section examines the deaths of detainees who “disappeared” while being held by the Pakistani security forces. The section argues that such deaths should be regarded as prima facie arbitrary executions. The last, third section examines how the Pakistani authorities failed to address the problem of enforced disappearances and, consequently, helped create a culture of impunity for those responsible for disappearances. AHRC (Asian Human Rights Commission). 2013. The State of Human Rights in Pakistan, 2013, Country Has Turned into a Killing Field. Hong Kong: AHRC. http://www.humanrights.asia/resources/hrreport/2013/AHRC-SPR-005-2013.pdf/view. Accessed on 11 July 2018. ———. 2014. “Pakistan: Balochistan—160 Persons Extra Judicially Killed, 510 Disappeared and 50 Decomposed Bodies Were Found During 2013.” AHRC, January 7. http://www.humanrights.asia/news/ahrc-news/AHRC-STM-007-2014. Accessed on 18 July 2018. AI (Amnesty International). 2006. Pakistan: Human Rights Ignored in the “War on Terror”. London: AI Publications. https://www.amnesty.org/en/documents/ASA33/036/2006/en/. Accessed on 30 May 2018. ———. 2008. Denying the Undeniable: Enforced Disappearances in Pakistan. AI Publications. https://www.amnesty.org/download/Documents/ASA330182008ENGLISH.pdf. Accessed on 16 June 2018. ———. 2012. ‘The Hands of Cruelty’: Abuses by Armed Forces and Taliban in Pakistan’s Tribal Areas. London: AI Publications. https://www.amnesty.org/download/Documents/20000/asa330192012en.pdf. Accessed on 16 June 2018. ———. 2013. Amnesty International Report 2013. London: AI Publications. http://files.amnesty.org/air13/AmnestyInternational_AnnualReport2013_complete_en.pdf. Accessed on 5 July 2018. ———. 2015. Amnesty International Report 2014/15: The State of the World’s Human Rights. London: AI Publications. https://www.amnestyusa.org/pdfs/AIR15_English.PDF. Accessed on 18 July 2018. ALRC (Asian Legal Resource Center). 2014. Pakistan: Disappearances. A Written Statement Submitted to the UN Human Rights Council by the Asian Legal Resource Center. http://alrc.asia/pakistan-disappearances/. Accessed on 16 June 2018. FH (Freedom House). 2015. Pakistan: Freedom in the World 2015. https://freedomhouse.org/report/freedom-world/2015/pakistan#.VWwbds_BzGc. Accessed on 14 July 2018. ———. 2014. State of Human Rights in 2013. Lahore: HRCP. http://www.hrcp-web.org/hrcpweb/report14/AR2013.pdf. Accessed on 17 June 2018. HRW (Human Rights Watch). 2011. ‘We Can Torture, Kill, or Keep You for Years’: Enforced Disappearances by Pakistan Security Forces in Balochistan. New York: HRW Publications. https://www.hrw.org/sites/default/files/reports/pakistan0711WebInside.pdf. Accessed on 12 July 2018. ———. 2014a. Pakistan: Withdraw Repressive Counterterrorism Law. 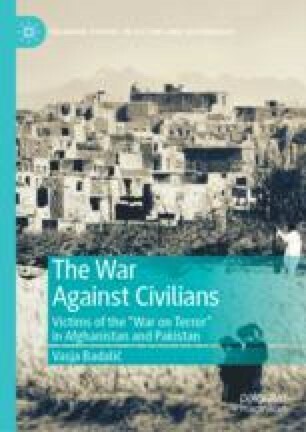 HRW, July 3. https://www.hrw.org/news/2014/07/03/pakistan-withdraw-repressive-counterterrorism-law. Accessed on 23 July 2018. ———. 2014b. Pakistan: Impunity Marks Global Day for Disappeared. HRW, August 29. https://www.hrw.org/news/2014/08/29/pakistan-impunity-marks-global-day-disappeared. Accessed on 15 June 2018. Ijaz, Saroop. 2015. “Dispatches: Identifying Pakistan’s ‘Disappeared.’” Human Rights Watch, February 12. https://www.hrw.org/news/2015/02/12/dispatches-identifying-pakistans-disappeared. Accessed on 4 July 2018. Khattak, Inamullah. 2007. “Jihadi Groups Blamed for Disappearances.” The News, March 28. https://www.dawn.com/news/239698. Accessed on 6 July 2018. Malik, Hasnaat. 2015. “Gone Without Trace: SC Urges Joint Efforts to Trace Missing Persons.” The Express Tribune, February 11. https://tribune.com.pk/story/836387/gone-without-trace-sc-urges-joint-efforts-to-trace-missing-persons/. Accessed on 18 July 2018. Omer, Reema. 2013. “Justice for the ‘Disappeared.’” Dawn, July 29. https://www.dawn.com/news/1032711/justice-for-the-disappeared. Accessed on 16 June 2018. Protection of Pakistan Act. 2014. http://www.ilo.org/dyn/natlex/natlex4.detail?p_lang=&p_isn=101680&p_classification=01.04. Accessed on 23 July 2018. “Three Militants Die of Cardiac Arrest.” 2014. The News, August 24. https://www.criticalthreats.org/briefs/pakistan-security-brief/pakistan-security-brief-august-25-2014#_edn485789e8720d144af85648464663f06717. Accessed on 6 July 2018. “Three More Militants Die in Custody.” 2014a. The News, July 21. https://www.thenews.com.pk/archive/print/639316-three-more-militants-die-in-custody. Accessed on 6 July 2018. “Three More Militants Die in Custody.” 2014b. The News, August 3. https://www.criticalthreats.org/briefs/pakistan-security-brief/pakistan-security-brief-august-4-2014. Accessed on 6 July 2018. “Two More Militants Die of Cardiac Arrest.” 2014. The News, August 9. https://www.thenews.com.pk/archive/print/639662-two-more-militants-die-of-cardiac-arrest. Accessed on 6 July 2018. “Two Militants Die in Custody of Forces in Swat.” 2014. The News, July 27. https://www.criticalthreats.org/briefs/pakistan-security-brief/pakistan-security-brief-july-28-2014#_ftn21. Accessed on 6 July 2018. “Two Militants Die in Security Forces’ Custody in Swat.” 2014. The News, June 1. https://www.criticalthreats.org/briefs/pakistan-security-brief/pakistan-security-brief-june-2-2014#_edn1961f93f0f9de35f4698f060ee5129249. Accessed on 6 July 2018. ———. 1984. Convention Against Torture and Other Cruel, Inhuman or Degrading Treatment or Punishment. Adopted and Opened for Signature, Ratification and Accession by General Assembly Resolution 39/46 of 10 December 1984. https://www.ohchr.org/Documents/Publications/CoreTreatiesen.pdf. Accessed on 20 July 2018. ———. 1988. Body of Principles for the Protection of All Persons Under Any Form of Detention or Imprisonment, A/RES/43/173. http://www.un.org/documents/ga/res/43/a43r173.htm. Accessed on 16 June 2018. ———. 1992. Declaration on the Protection of All Persons from Enforced Disappearance, A/RES/47/133. http://www.un.org/documents/ga/res/47/a47r133.htm. Accessed on 16 June 2018. ———. 2007. International Convention for the Protection of All Persons from Enforced Disappearance (ICPPED). https://treaties.un.org/doc/Publication/CTC/Ch_IV_16.pdf. Accessed on 3 July 2018. U.N. Human Rights Committee. 1982. CCPR General Comment No. 6: Article 6 (Right to Life). http://www.refworld.org/docid/45388400a.html. Accessed on 22 July 2018. ———. 1992. CCPR General Comment No. 20: Article 7 (Prohibition of Torture, or Other Cruel, Inhuman or Degrading Treatment or Punishment). http://www.refworld.org/docid/453883fb0.html. Accessed on 16 June 2018. ———. 2001. CCPR General Comment No. 29: Article 4 (Derogations During a State of Emergency), CCPR/C/21/Rev.1/Add.11. http://www.refworld.org/docid/453883fd1f.html. Accessed on 19 July 2018. ———. 2004. General Comment No. 31 (The Nature of the General Legal Obligation Imposed on States Parties to the Covenant), CCPR/C/21/Rev.1/Add.13. http://www.refworld.org/docid/478b26ae2.html. Accessed on 22 July 2018. ———. 2010a. Olimzhon Eshonov v. Uzbekistan, Communication No. 1225/2003, U.N. Doc. CCPR/C/99/D/1225/2003 (2010). http://hrlibrary.umn.edu/undocs/1225-2003.html. Accessed on 4 July 2018. ———. 2010b. Salem Saad Ali Bashasha v. The Libyan Arab Jamahiriya, Communication No. 1776/2008, U.N. Doc. CCPR/C/100/D/1776/2008. http://www.worldcourts.com/hrc/eng/decisions/2010.10.20_Ali_Bashasha_v_Libya.pdf. Accessed on 22 July 2018. U.N. Human Rights Council. 2013. Report of the Working Group on Enforced or Involuntary Disappearances on Its Mission to Pakistan, Addendum: Mission to Pakistan, A/HRC/22/45/Add. 2. http://www.refworld.org/docid/513715d02.html. Accessed on 5 July 2018. U.S. Department of State. 2012. Country Reports on Human Rights Practices for 2012: Pakistan. https://www.state.gov/documents/organization/204621.pdf. Accessed on 18 July 2018.